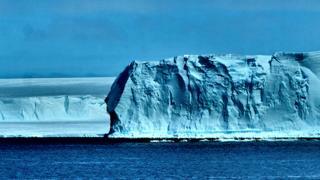 A scientific expedition in the Antarctic has set out on a quest to find Sir Ernest Shackleton’s lost ship. The team has spent the past two weeks investigating the Larsen C Ice Shelf and the continent’s biggest iceberg, known as A68. And this puts it just a few hundred km from the last recorded position of the famous British explorer’s vessel, the Endurance. 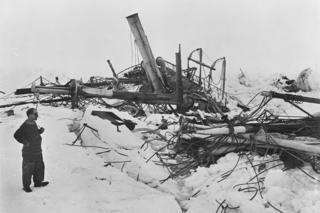 Shackleton’s extraordinary escape from this loss, saving his crew, means there is considerable interest in finding the wreck. “We’ve got a journey of several hundred km from where we are now through really heavy and quite difficult sea-ice,” he told BBC Radio 4’s Inside Science programme last Thursday. 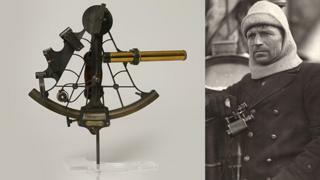 Shackleton’s skipper on the vessel, Frank Worsley, was a highly skilled navigator, and used a sextant and chronometer to calculate the sinking’s co-ordinates – 68°39’30.0″ South and 52°26’30.0″ West. 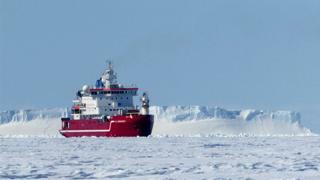 If Prof Dowdeswell’s ice-breaker, the SA Agulhas II, can get reasonably close – it will be game-on. 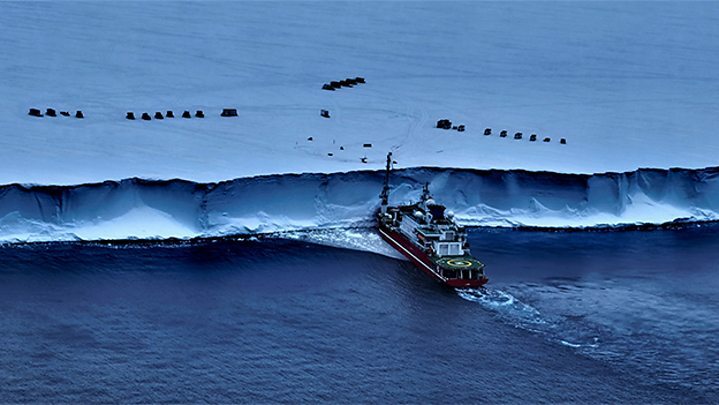 The organisms that normally consume sunken wooden ships do not thrive in the cold waters of the Antarctic, so there is optimism that Endurance’s timbers are well preserved. That said, crushing forces had done quite a bit of damage to the vessel before she slipped below the floes. “I think that if we locate the Endurance, the greater likelihood will be that her hull is semi-upright and still in a semi-coherent state,” commented marine archaeologist Mensun Bound. “However, on the evidence of the only deep-water wooden wreck I have been privileged to study, I must concede that there is every possibility that she could have been wrenched wide open by impact (with the seafloor), thus exposing her contents like a box of chocolates,” he wrote on his expedition blog. “We have acquired detailed observations on the glaciology, oceanography, biology, and geology of the little known area around the Larsen C Ice shelf and the huge A68 iceberg,” said Prof Dowdeswell, who is also the director of the Scott Polar Research Institute in Cambridge, UK.